Imports don't do what Avilius did on his Australian debut unless they are very, very good. He could prove to be the next Hartnell or Contributer. Sure, he'd already run a second to Cracksman overseas, so his class was never in question, but that was over 2400m under a different training regime. Punters Intel reveals his last 600m was a scintillating 32.66s, with a breakdown of 11.07s, 10.64s and 10.95s. 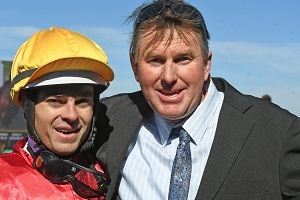 Glyn Schofield was doing his best to contain his excitement but a big exhale as he brought the five-year-old back to scale probably said more than any of his words. For him, it felt as good as it looked. "He presented so beautifully for me and in the run I could feel he had the race won a long way out. I was smoking. He wanted to get going, he wanted to give me what he has got a little bit soon, being a little bit fresh but when I let him go it was never in doubt," he said. "He has got form behind some of the best in the world and he has got a long way to go to emulate that but certainly on the way he won today, the team are going to have a lot of fun with him." James Cummings, who trained a treble at Randwick, added, "He has got a lot of improvement in him but as we get to know him better we’ll get more confidence but that’s a very exciting beginning." Kerrin McEvoy had to revert to “Plan C” after Miltary Zone missed the start in the opener at Royal Randwick, with Plan A being to sit outside of the leader. Punters Intel reveals that the three-year-old ran a last 600m of 32.99s, running his two final splits in a sharp 10.79s and 11.03s, to chase down Danawi and nail him on the line. “We weren’t going to be that far back but he went up at the start. It was probably a blessing though, we got some cover from the wind and he showed a really good turn of foot,” said McEvoy. Since being gelded, the once headstrong colt has won two from two and although co-trainer Peter Snowden stopped short of suggesting he is a Golden Rose candidate, his change in attitude does remind him of his sire, Epaulette. “His dad was a bit like that early as well but what a great race horse he was and this fella is going the right way,” said Snowden. Aaron Bullock isn’t the crying type. That didn’t stop the tears from welling up in his eyes after he guided Magic Choir to victory in the TAB Highway Handicap for one of his earliest mentors, trainer Todd Howlett. “I don’t get very emotional but it definitely meant a lot riding that for Todd,” said Bullock, who was apprenticed to Howlett. Bullock is now three from three aboard Magic Choir, who has built up the handy record of 4 wins from 9 starts. “He is got more wins in him for sure, he is a lovely horse,” said Bullock. You couldn’t have scripted it if you tried. Tye Angland offered Chris Waller a cheeky grin and a handshake after he had just steered the Brent Stanley-trained Red Alto to an unlikely win at Royal Randwick. 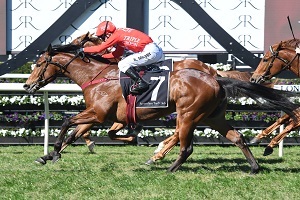 Waller had eight of the nine runners in the race but it was the lone ranger from Melbourne that fought off Vaucluse Bay, ridden by Jason Collett, at the finish. “We had a beautiful run in behind and were able to ppp out when the leader wasn’t going anywhere. It was a good fight between myself and Jason. It was also good to beat the Waller camp,” Angland quipped with a smile. While Winx was the focus of an exhibition gallop at Randwick, there was also an exhibition gallop of sorts at Kembla Grange with Spin sent around a $1.09 favourite with TAB in a maiden. There was never a moment of doubt with the now three-year-old, who was three-time Group placed as a two-year-old, winning by 3.8 lengths. “We came down here to get this type of result with him,” co-trainer Paul Snowden said on Sky Thoroughbred Central. “He is still learning and we needed to teach him how to win because he hadn’t got the job done yet. We were positive in his trials, in his latest he was made to win which he did and even in his work we have matched him up with a lesser class horse to make sure he goes through the line. That’s the result we wanted today just so he knows that he can do it. Check out all the results and replays for Royal Randwick on Saturday.